We arrived here last Wednesday afternoon and what beautiful day it was. 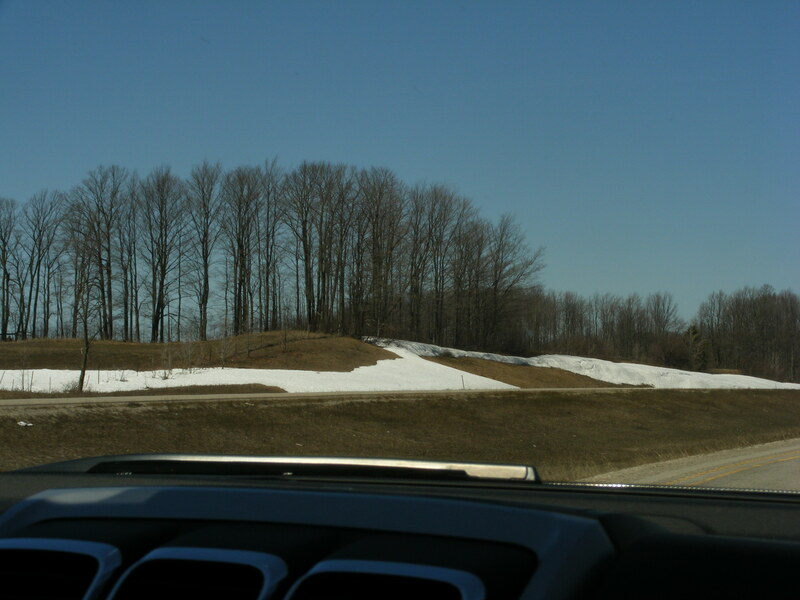 The drive north was sunny and clear. We never saw snow until we got to Gaylord. 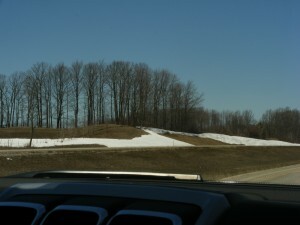 The snow drifted on the sides of the freeway and along the hills. We stopped in Gaylord at our favorite rest stop just to get a few pictures. 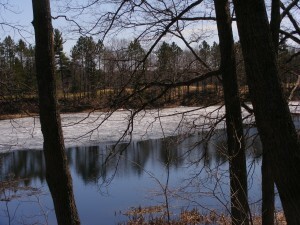 The lake was frozen and the way the sunlight bounced off the snow and ice was blinding and beautiful . 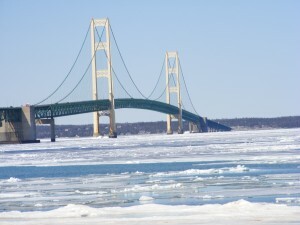 We could hardly wait to get to Mackinaw to see the straits. 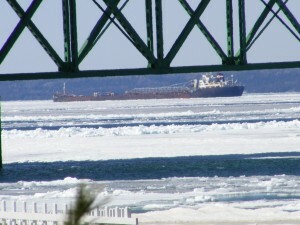 We were amazed at the amount of ice on the straits. It was, after all, April 23rd ! 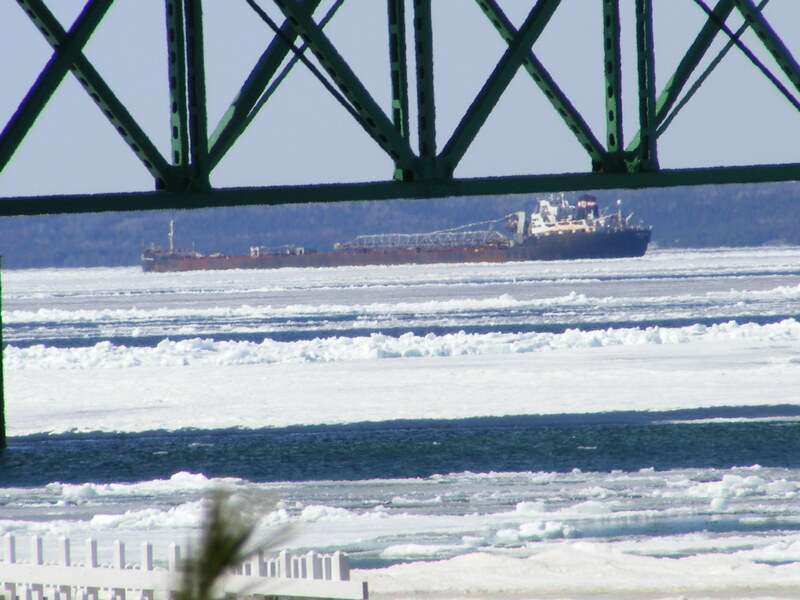 We drove straight to the back parking lot , got out of the car and walked down to the pool area for a better view of the icy straits.While we were looking out over the straits, I spotted a freighter that had just passed under the bridge into the ice covered Lake Michigan. It was a beautiful sight looking at the wintry scene in front of me. The one thought that kept crossing my mind was how quiet it was. Yes, quiet. Because the water is frozen there was no noise from waves crashing ashore. It is so serene. 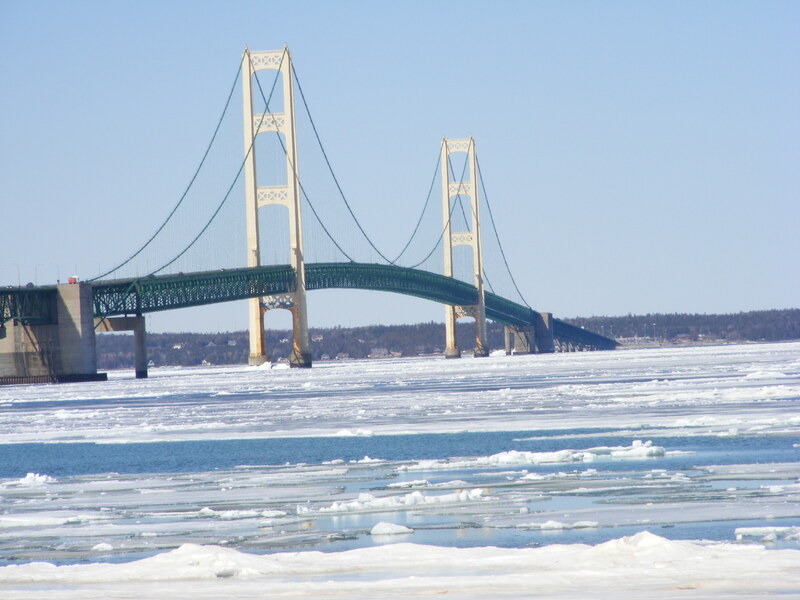 If you ever get the chance to see the straits frozen over, don’t miss it. Come for the beauty and the serenity, you won’t be sorry.